The word "tea" is officially used to describe brewed beverages made from the Camellia sinensis plant; however, many other drinks, including herbal tea, yerba mate, bottled teas with added ingredients and certain coffeehouse concoctions are often described as "teas" as well. Of these drinks, teas that contain caffeine and sugar may provide a rush of energy; however, it's important to remember that the burst of energy you get from stimulants or sugar is only temporary and may be followed by an unpleasant "crash." Of all brewed teas, black teas, made from the leaves of the Camellia sinensis plant, generally provide the most energy-boosting caffeine. 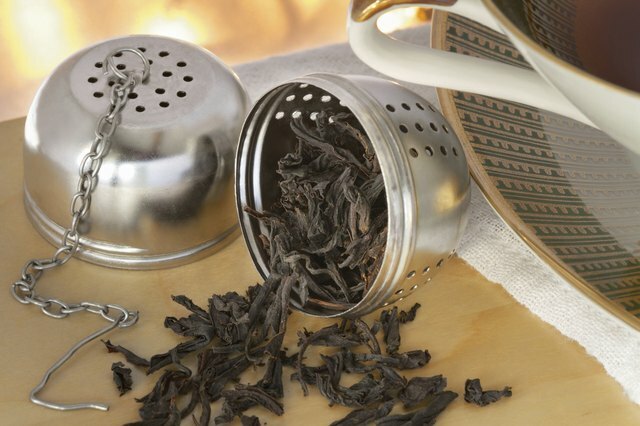 Black tea, the most popular type of tea worldwide, according to StarChefs.com, is made by fully fermenting harvested tea leaves for several hours before the heating or drying stages of the tea-making process occur. The oxidation provided by the lengthy fermenting process gives black tea its dark color and high caffeine content. An 8-ounce cup of black tea provides 60 to 90 milligrams of caffeine -- about half the amount of caffeine in a cup of coffee. There are many varieties of black tea, such as Keemun and Assam, as well as flavor-infused black teas and black tea blends such as Earl Gray or English Breakfast. 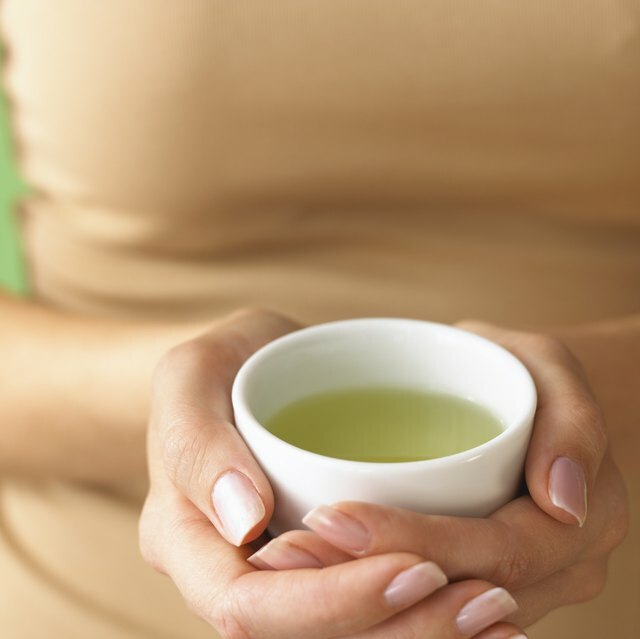 Other popular types of tea made from the Camellia sinensis plant include green tea, oolong tea, and white tea. These teas also provide an energizing jolt of caffeine, although it may be more subtle than the kick you get from black tea. Green tea typically provides 35 to 75 milligrams of caffeine; oolong tea provides 50 to 75 milligrams of caffeine, and white tea provides 30 to 55 milligrams. Although they all come from the same plant, green, oolong, and white teas contain less caffeine than black teas because of the different ways they are produced. Both white and green teas are unfermented, while oolong tea is fermented, but for a shorter length of time than black tea. While not everyone considers yerba mate to be "tea" as it doesn't come from the Camellia sinensis plant, yerba mate is like tea in that it is an energizing drink made from brewed plant leaves. A traditional drink in several South American countries, yerba mate is made from the stems and leaves of a subtropical rainforest tree. 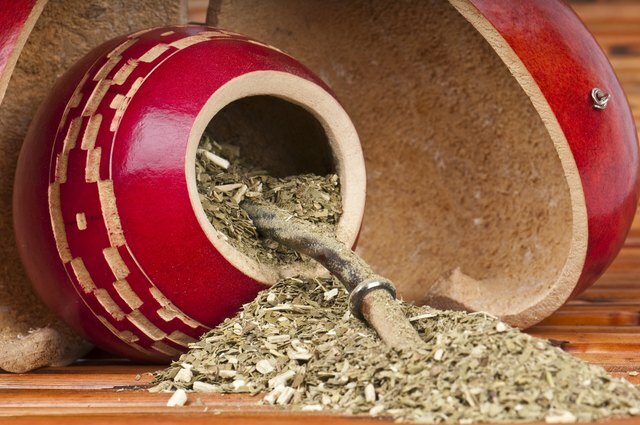 Yerba mate contains caffeine or a similarly-stimulating variant of caffeine, although proponents say that consuming yerba mate doesn't cause the "crash" that typically follows consumption of other caffeinated beverages. According to a major U.S. vendor of yerba mate, one teabag of traditional yerba mate provides the equivalent of 45 milligrams of caffeine. Yerba mate also provides vitamins, minerals and amino acids that may also contribute to its energizing effects. 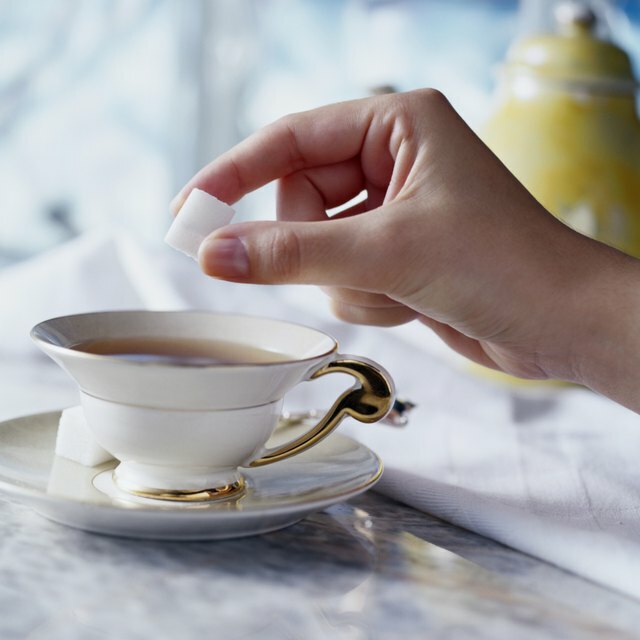 Teas with added sugar may include home-brewed tea to which you add sugar, sweet "tea latte" drinks served at coffeehouses or bottled tea drinks that include added sugar or high-fructose corn syrup. The sugar content in such teas, especially if the tea is caffeinated as well, may provide a temporary "rush" of energy. However, like a caffeine buzz, a sugar high may be followed by a crash during which you feel even more tired than you were before you consumed the sugar. Alertness provided by sugar is also shorter-lived than that offered by caffeine, and sugary drinks may lead to obesity and tooth decay. The National Institutes of Health recommends limiting added sugars in your diet. Very informative post! I did not know much about teas giving you energy until reading this. I am not much of a tea drinker but good to learn about these teas. This post is just for me as I am a tea addict and I also belong to the tea state Assam, India. Such a detailed post on various kinds of tea. Love reading it. I am not a tea drinker but this sounds pretty helpful! I like that it gives you energy. I drink green tea from time to time but I much prefer a hot cup of coffee. Perks me up really well. I am basically a black coffee person but if I have to go for tea I prefer black strong tea.